Frank Welsh： A History of Hong Kong (第三版) ，HarperCollins，1998年10月1日， ISBN 1-56836-002-9. Poshek Fu， David Deser： The Cinema of Hong Kong: History， Arts， Identity ，劍橋大學出版社，2002年3月25日， ISBN 0-521-77602-3. 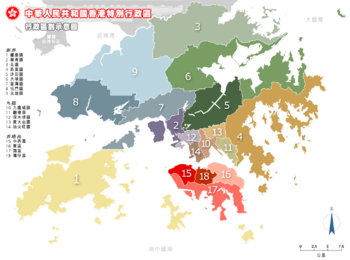 Steve Tsang： A Modern History of Hong Kong ，I.B. Tauris，2004年5月14日， ISBN 1-86064-184-9. Liu Shuyong： An Outline History of Hong Kong ， ISBN 7-119-01946-5. 香港歷史學會： Forts and Pirates - A History of Hong Kong ，Hyperion Books，1990年12月， ISBN 962-7489-01-8.